with on-demand & temporary transportation needs. Ditch your 9-to-5 and work on your terms. 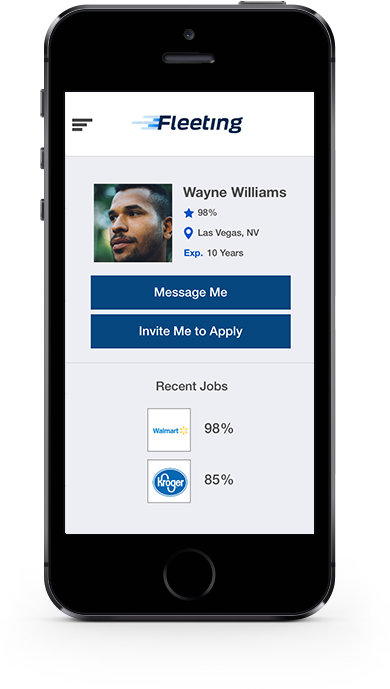 Join the On Demand economy with a profile on Fleeting and accept jobs in a few clicks. 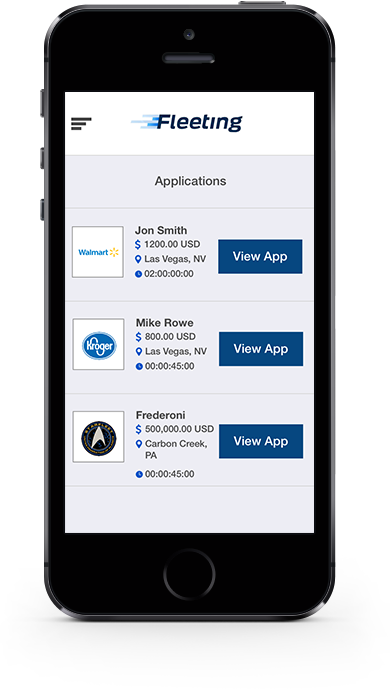 Apply to jobs easily in our app by uploading certifications, drug testing results and more right from your phone. Make pesky compliance a thing of the past by moving into the digital age. 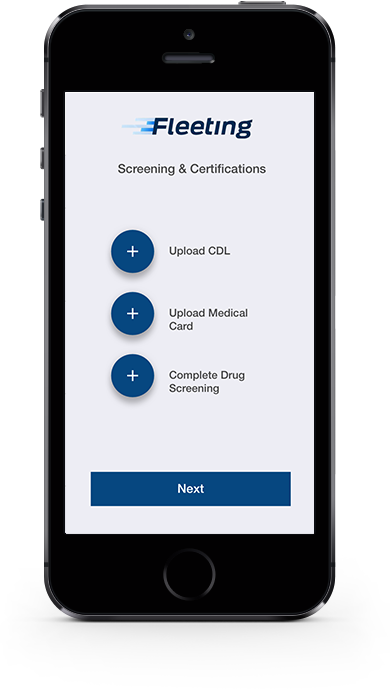 Our platform tracks drivers, manages drug test results and makes compliance easier. The transportation industry is one of the only industry's left thats stuck in the old way of hiring. 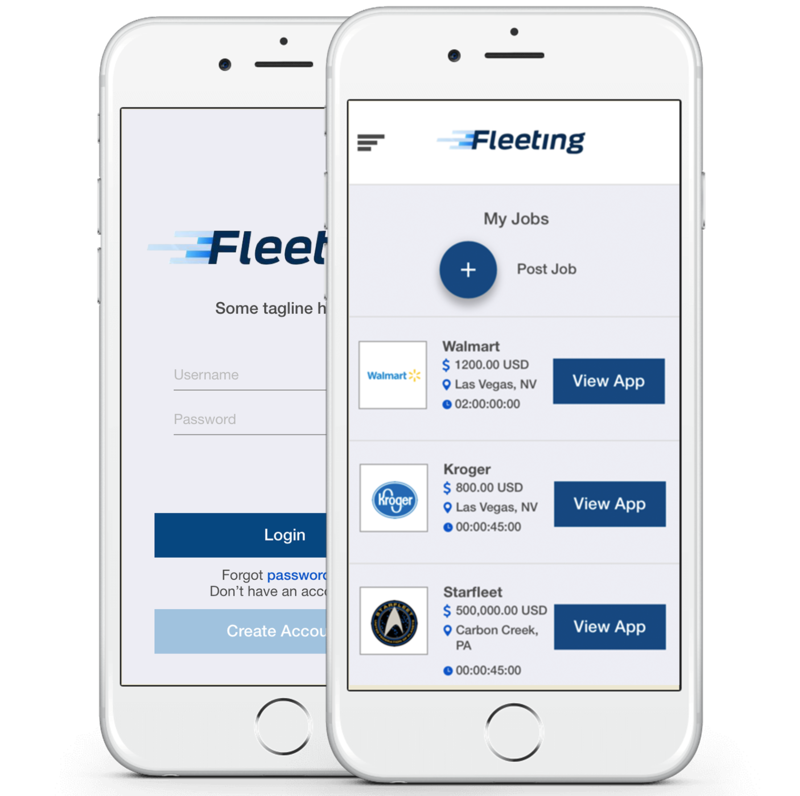 Fleeting is transforming the industry making it easier for qualified drivers to apply for jobs and work on their own terms. Get the flexibility of driving for Uber with the pay of a Class A CDL Driver. Short on drivers? Our platform has thousands of vetted and experienced drivers, ready to work, when you need them most. Easily hire through Fleeting and say goodbye to the days of second guessing your driver needs. Forecast, manage, and track your driver capacity efficiently through our platform. 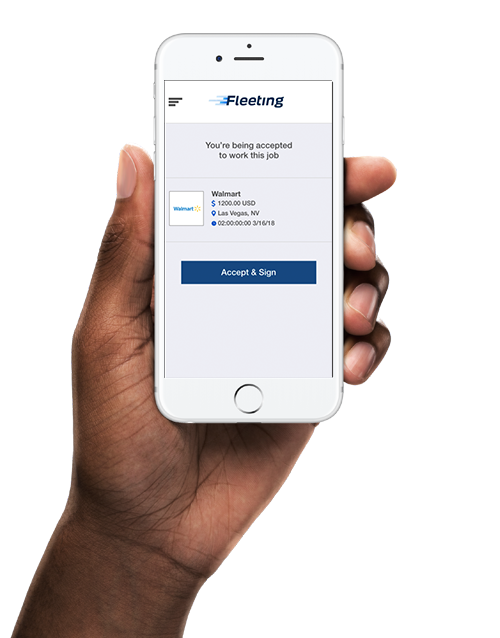 As an added benefit, stay compliant with industry regulations and know exactly where your drivers are and when a drop off has been made are with our Driver Tracking system. Want to see something magical? Go compress a few PNG's with @Qapp. We just saved 4MB. Just changed the file size on 31 images, as well as Qapp, page is now under 1/2 a MB. So much better! Pretty impressed with Qapp so far. Compressed images on a site and saved just over 1mb. Aenean faucibus nibh et justo cursus id rutrum lorem imperdiet.